Hachi 08 is located within the heart of the CBD and brings authentic Japanese cuisine in the form a delicious new dinner menu. The restaurant is modelled around an izakaya (a Japanese casual pub) and offers everything from gyoza to miso soup. We were fortunate enough to sample some of their dinner menu dishes and this is what we thought. 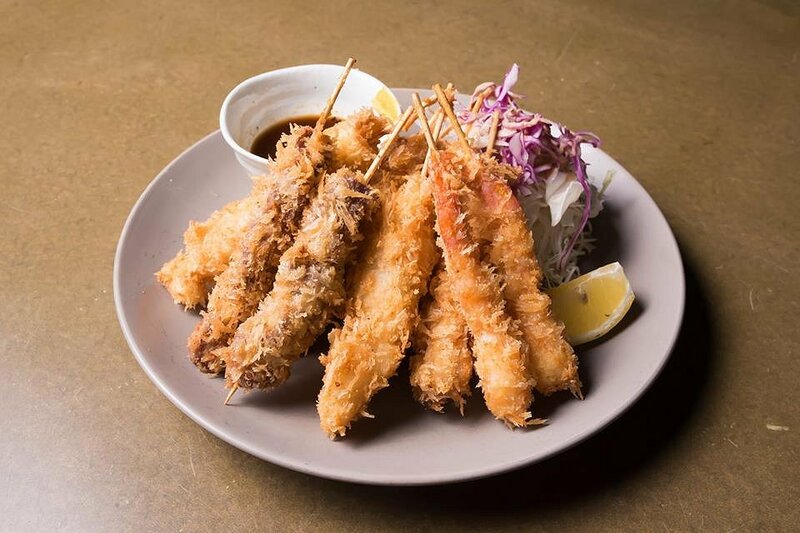 The Kushi Katsu comes in an assortment of proteins including prawn, beef, chicken and fish. Each skewer was coated in a panko crumb and fried to a golden brown. The dish is served with a sesame sauce and a dash of hot English mustard. 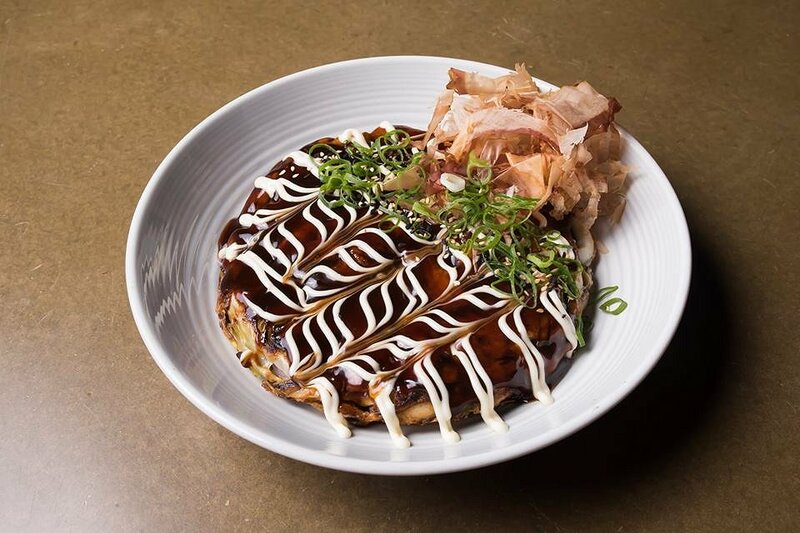 One of the signature Japanese dishes is the okonomiyaki. 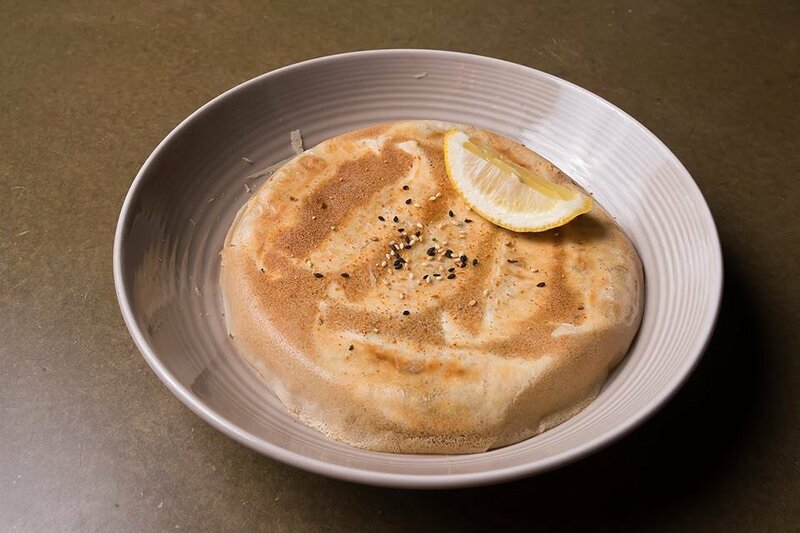 Designed for sharing, the dish comes with a stainless steel knife that allows you to cut the pancake into smaller pieces. 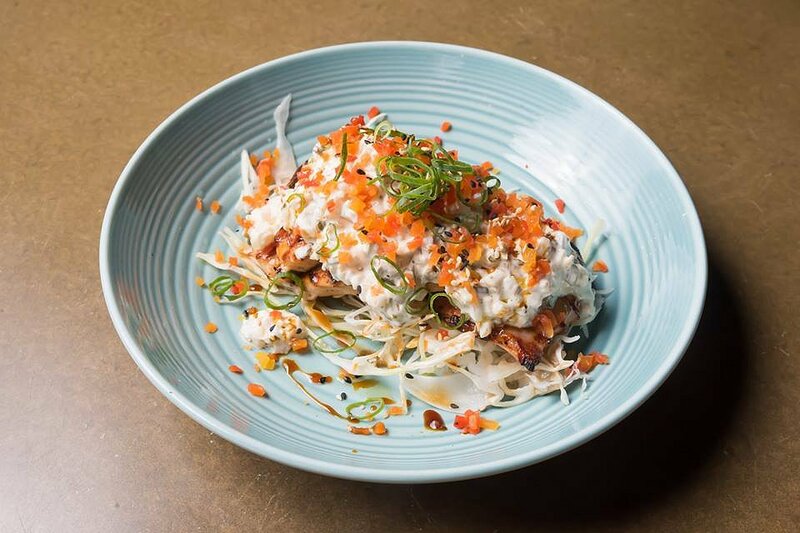 Underneath the beautiful pattern of Japanese BBQ sauce and kewpie mayo was a combination of perfectly cooked squid, cabbage and spring onion. Another classic staple is the Gyoza. The presentation was a bit different to what you’d normally expect with all the gyoza connected together by a single layer of fine pastry. Each dumpling was filled with a mixture of prawn and spring onion, which went perfectly with the tsuyu vinaigrette. Who doesn’t love fried chicken? The fried chicken was covered in a glaze which makes it totally Instagrammable. Topped with sesame seeds and spring onion, and accompanied by a drizzle of lemon, this chicken was finger licking good! We love this interpretation of the western chicken and coleslaw. Under the bed of coleslaw was a perfectly cooked chicken thigh; crispy on the outside and moist in the middle. The salad itself was a mixture of cabbage, carrot and takuan tartare. It’s a dish that you need to try. Hachi 08 offers a unique twist on Japanese cuisine that is well suited to the Australian palate. 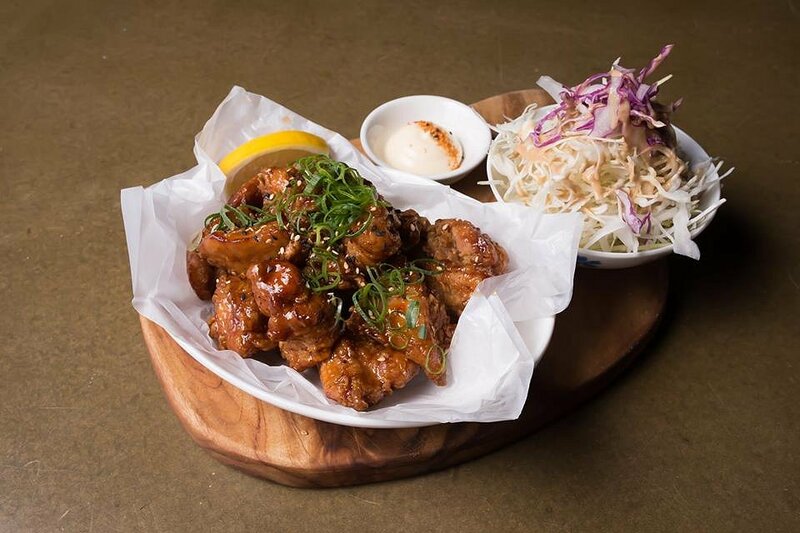 Hachi 08’s dinner menu is available Monday to Thursday evenings 6pm–10:30pm, and Friday and Saturday nights till midnight.